Junk is defined as ‘odds and ends;garbage’ in the dictionary. Some of us have different names for our junk, like rubbish, debris, clutter, trash or rubble. Whatever you want to call it, it makes us all feel the same way. Unnecessary junk in our lives adds unwanted stress, it’s just that simple. If this is something that you think about quite often, but don’t know how to fix the issue and you live or work in the Colleyville, TX area, then I have a remedy to your junk problem. 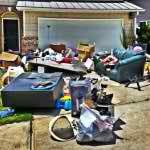 The answer to clutter is The Stand Up Guys Junk Removal Crew! 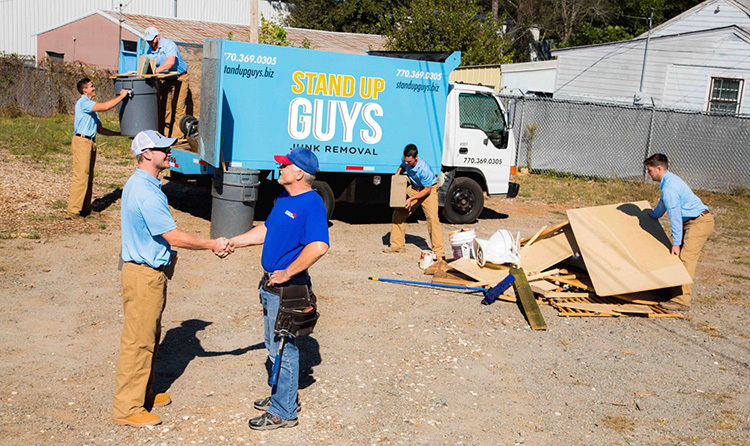 The Stand Up Guys Junk Removal Crew can take it all and do it all for the great residents and business owners of Colleyville. We’ll remove anything, big or small. From a small pile of yard debris in the back yard, to a full house of old furniture and appliances. The Stand Up Guys will take care of whatever it is you need. We make the process as simple as possible for our Colleyville clients as well. All you have to do is point out what it is you want removed, and the uniformed Stand Up Guys Professionals hired to help you will take care of everything. 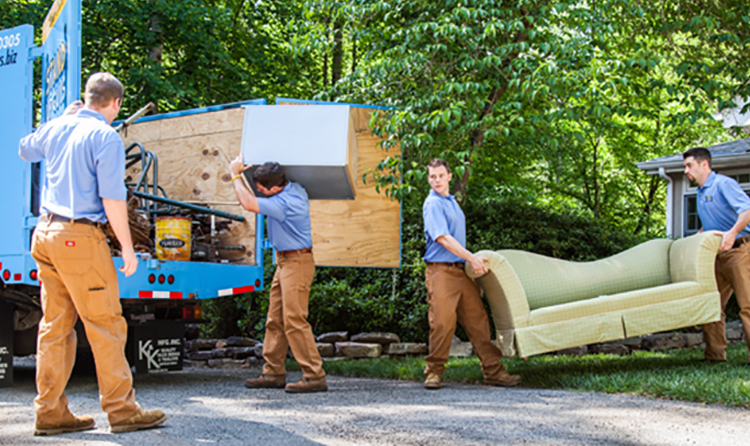 We’ll manage all the heavy lifting, loading, hauling, cleaning and clearing. So all you have to do as a customer is sit back, relax and watch as the junk and clutter disappears. Colleyville is one of the most well-known and sought after suburbs of the greater Fort Worth area, and easily one of Tarrant County’s finest cities. Colleyville isn’t as large as some of the other suburbs in the Dallas-Fort Worth Metro Area, with 22,000 or so residents, but what Colleyville lacks in size, it makes up for in awesomeness. Colleyville has some of the most spectacular schools of any city in Texas and is an absolute wonderful place to raise a family. This is something that many people out there look for, and they have it all in Colleyville. Colleyville is an awesome place to live and visit for many reasons. 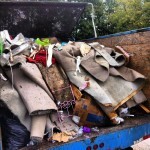 One of the best reasons to live in Colleyville though, is the fact that you have a direct connection to one of the greatest junk removal services on planet earth, The Stand Up Guys Junk Removal Crew. 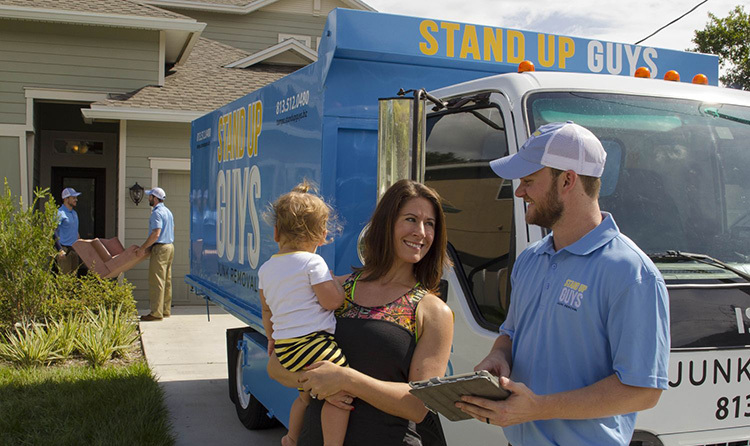 The Stand Up Guys offer Colleyville the greatest in customer service, value and customer care. We not only make sure our customers are 100% satisfied with our service, we ensure that they in fact was WOW’d by our service. This is what makes us ‘Stand Up Guys’ and why the great people of Colleyville consider us to be the #1 Junk Removal Service in Colleyville.